OrangeSlyce is a startup in Tempe, AZ that is focused on helping students find paid projects with local businesses. They were founded in 2009 by a team of students from ASU. 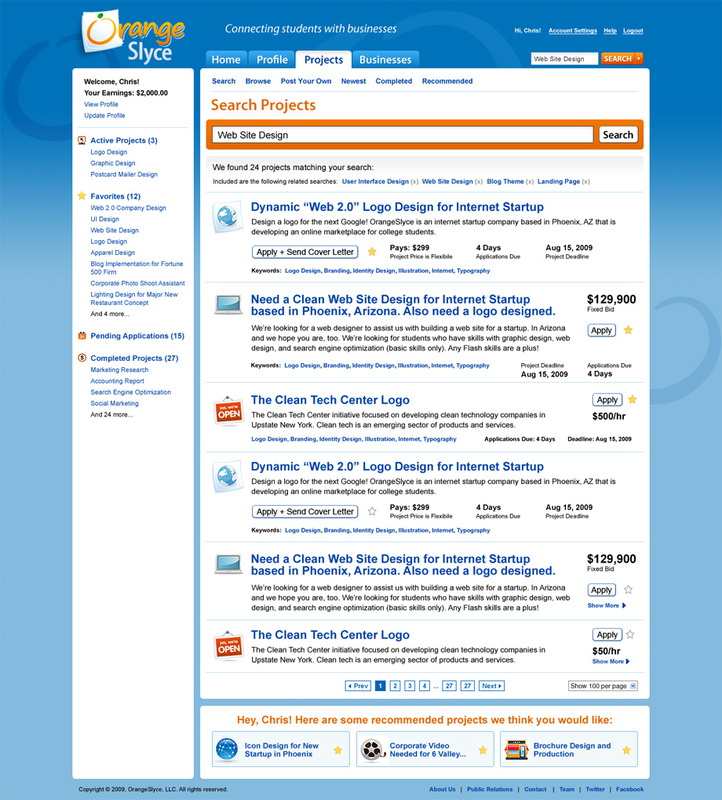 OrangeSlyce came to Tornado seeking a user interface design for their web application. We created a complete user interface design that was rolled out across their application. The first screen we designed was the search results screen, which shows how it would look to students who are interested in finding a project. 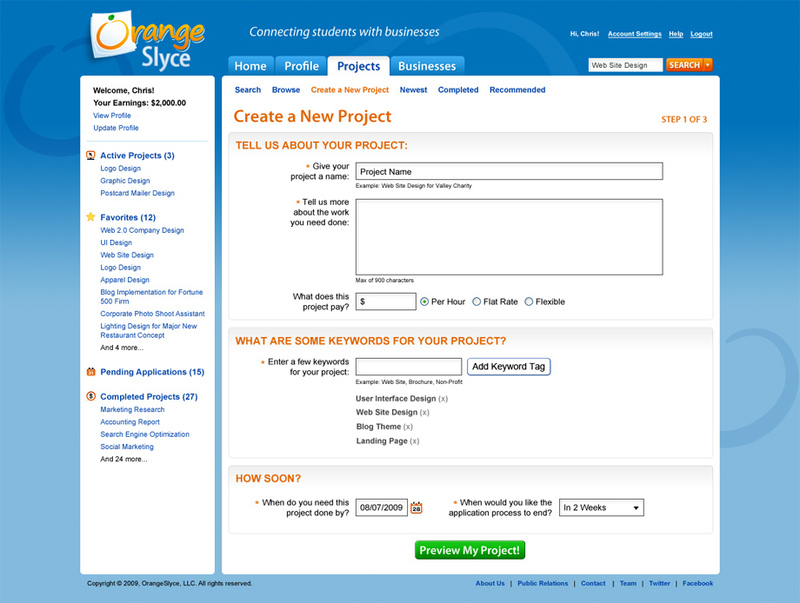 The screen for creating a new project was important to OrangeSlyce since it was the gateway to accepting new users. We created a three-stage signup procedure that allowed people to create a project in just minutes. After we had created these two pages the OrangeSlyce team took these concepts and integrated the design within their site HTML. About a year later, the OrangeSlyce team did a product pivot, and dramatically changed the interface and focus of the business. The second page we created is the create a new project section, which is a 3-step form that includes creating a new account. One of the things OrangeSlyce wanted to achieve with this design was complete flexibility. They wanted to be able to take our interface and expand it across their entire web site. We built our design to be modular so that pieces could be used globally on the web site. We also designed various style guidelines for headlines, sub headlines, and form input fields so that they could use them globally. OrangeSlyce used the finished UI design to develop the rest of the OrangeSlyce application and successfully launched later that year.